Is solar PV the technology of the future? The decreasing solar panel cost and the advancement of the PV technology present the solar industry with many opportunities in the solar PV project development space. Already there is a lot of innovation taking place in the solar PV space and today more than 1 million households in the U.S. have switched to solar to enjoy the benefits of solar energy. PV is becoming a widely used technology because of policy, finance and technology innovations and this blog discusses some of the technological breakthroughs that are currently being implemented by various well-known companies such as Tesla, Panasonic and others. What PV innovation is taking place to accelerate the rate of solar adoption? When it comes to technology innovation, research and development (R&D) is driving technological PV change with the main objective of reducing solar panel cost and increasing solar panel efficiency. Solar panel cost has reduced from $100/Watt in early 1960’s to less than one dollar( <$1/watt) today. Combining this PV cost and other costs such as installation and soft costs or overhead costs going solar can cost you around $3/watt to $4/watt depending on your geographical location and solar policies that are existent in your local area. Check how much you it can cost you to adopt solar for your home or business. On the other hand, solar panel efficiency has been increasing and the average conventional solar panels usually have a conversation efficiency rate ranging between 15% and 16%. This improvement in solar panel efficiency means today you don’t require as much space for solar panels to produce solar power as it used to be in early 1970’s when PV was still a new technology. Also with technological change, solar PV has become one of the sought technologies to produce solar power for cellphones, back up emergency power, solar power for water pumps in developing countries as well as roads made of solar PV. Solar roads are been constructed in some countries such as USA, France, Netherlands etc to maximize space while using it as solar roads and at the same time generating solar power from these solar roads. For example, the first of its kind solar road was launched by Netherlands, but since this was more of a demonstration project it was planned to cover initially 100 meters to demonstrate how feasible such projects can be. In addition, transparent solar PV that are clear and you can see through them are becoming popular and these will revolutionize how solar PV can generate solar power while maximizing solar potential for any building that can be constructed with transparent window materials. This means more opportunities for generating solar power to run your appliances as well as your gadgets (cellphones and laptops). Additionally, roof tiles can be made of textured glass that allow sunlight to pass through them and onto a standard flat solar cell to produce solar power for your house. These look like ordinary shingles, but the only difference is that they contain solar cells for producing solar power and hence are commonly referred to as solar shingles. Tesla recently unveiled a solar roof made of solar glass tiles that has applied the concept of an integrated solar glass shingle – commonly known as Tesla solar tile. With this concept, Tesla unveiled recently how your roof can be made of solar PV, while using a Tesla battery for storage to power your home while powering your electric vehicle with solar power. Storage still remains one of the main technological barrier to increased adoption of solar PV because of amounts of storage required and the cost barrier that need to be overcome before storage can become cost effective for any household or business. To overcome this barrier companies like Tesla are cooperating with Panasonic and other companies to develop the Gigafactory that will produce batteries that are cost effective using economies of scale as well as innovative manufacturing technologies to reduce waste and maximize efficiency and using renewable sources as its source of power. This factory will help to drive down the cost of solar storage per kilowatt-hour (kWh) of their battery pack by at least 30% reducing cost through economies of scale. Lastly, software development is one of the main drivers of technological change in many sectors and PV being one of them. Today there are various online solar tools that help to design a solar PV system helping solar companies to reduce solar design costs as well as solar sales and marketing online tools that help to reduce customer acquisition costs. These technology breakthroughs help to further help to accelerate the rate of adoption of solar PV when the overall costs, especially soft costs are greatly reduced. However, the main barrier to increased adoption still remain the high upfront cost of going solar which has resulted in solar being reliant in subsidies to be profitable. Although with the decreasing solar panel cost coupled with the high rate of technology advancement; this situation may change soon than we expect. Interested in going solar? 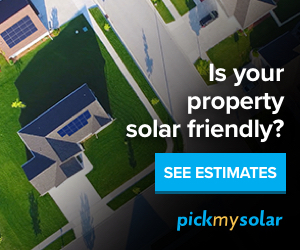 today the process is simplified with online solar tools that help you to compare solar prices and costs while giving you finance options as well as an option to select some of the best solar installers in your local area. Learn more and check how much you it can cost you to adopt solar for your home or business. Is solar good for sustainability?